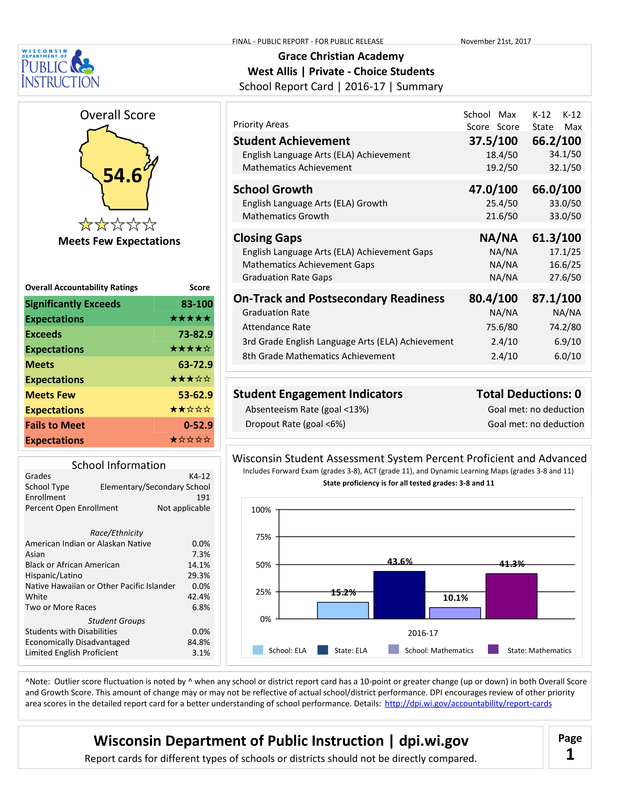 ​Under the 2015 Wisconsin Act 55, all private schools participating in the Choice program will receive a Choice Pupil Report Card. Choice schools participated in a new data collection system for the first time in 2015-2016. 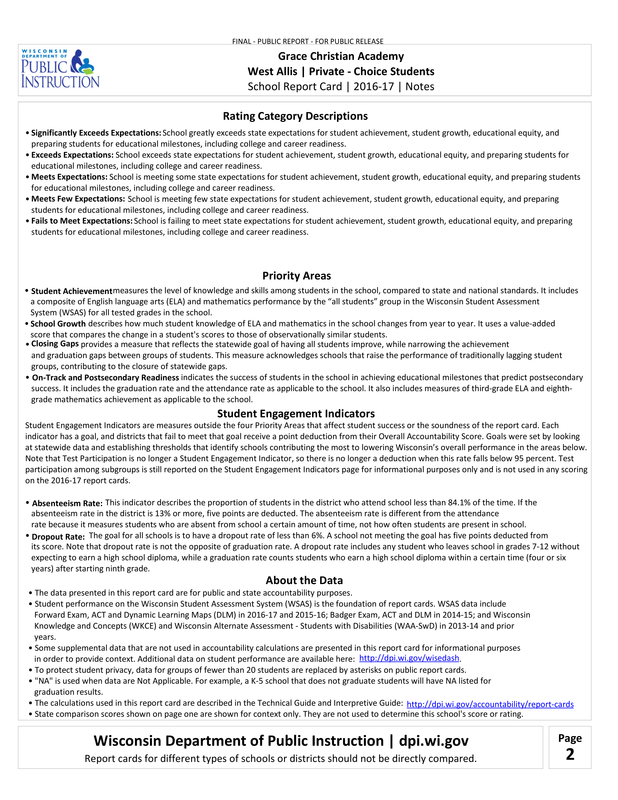 As a result, DPI has only a single year of data for choice students; therefore, the Choice Pupil Report Card will not have an overall score, a rating, or a star designation for 2015-16. However, as a Choice Program school we are required to provide a link to our report card. This report card will only include data from Choice students attending Grace Christian Academy.